Although Wireless technology is an integral part of all computers we utilize, whether it is a desktop, a tablet, or a smartphone, Wi-Fi access technology was designed and optimized for areas of very limited coverage, such as inside a house or office. Inefficiency in situations where there are many simultaneous connections by a large number of users. The result: Many believe that WiFi is not a feasible solution for broad range coverage in outdoor areas. The mynetworks solutions by Altai Technologies were designed to overcome these inherent limitations of Wi-Fi, making it possible to provide high-capacity and dependable coverage in large indoor and outdoor spaces. Our Altai Super Wi-Fi technologies are unique in the market and now they are available to supply you incomparable performance. Better coverage: The Super Smart Antenna technology provide enhanced signal range, providing more uniform and better indoor penetration of the signal. Greater capacity: The MIMO 8×8 technology supplies an average of 5 times better yield than the MIMO 3×3 standard in complex NLOS (Non-line-of-sight) surroundings. 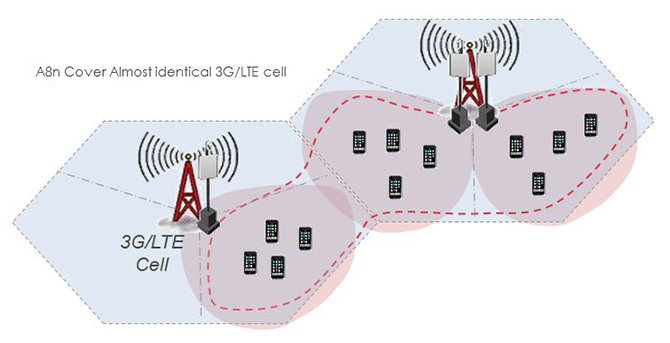 Improved efficiency: The AirFi technology practically doubles the efficiency of the WiFi cells, due to optimized intelligence, even when there are a great number of simultaneous connections. The majority of standard Wi-Fi clients can connect to a wireless access point (AP) in a very limited range. They may work every well in an indoor area from a short distance range, but they display great performance limitations and very access range in large outdoor spaces. The patented Smart Antenna technology – increased diversity of antennas manages the power of the signal and enhanced distance yield. The AirFi technology – an exclusive algorithm for band control implemented in the Wi-Fi layer, increasing the efficiency and capacity of the solution. 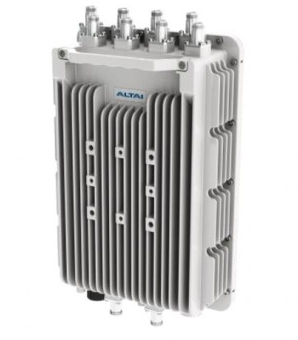 Contrary to the solutions available from other manufacturers, supplying a MIMO 3×3 capacity, the mynetworks solution by Altai Technologies is equipped with a powerful set of 8 element antennas, enabling the base station to implement a MIMO 8×8 capacity including two simultaneous flows. Our MIMO 8×8 technology implements an enhanced cost x benefit relationship, resulting in a multiplication and more efficient capacity for each Wi-Fit channel. Besides that, our AirFi technology overcomes one of the most fundamental challenges of the Wi-Fi technology: reduced efficiency in cells connected to over 10 users and “hidden-users” (users who cannot detect transmitted data from other users, bringing about a high number of collisions in the network). This technology utilizes a standard mechanism for controlling and programming the transmission of packages to each Wi-Fi client, thus reducing these collisions and enhancing the performance and network utilization. ​One of the benefits of our patented Smart Antenna technology is its narrow beam routed to the user and it inherently attenuates possible interferences originating from all directions that are not within the routed beam to the Wi-Fi client. When a base station undergoes interference of the signal from an adjacent site, only one sector is affected – the other sectors can still continue operating properly. The Altai A8n Super WiFi product family was designed for macro coverage, which means, the availability of WiFi access covering large areas uniformly, using only one base station. 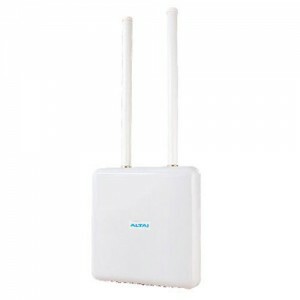 The Altai Smart Antenna and Altai AirFi are at the core of the Altai A8n Super WiFi base station family – a powerful combination of the implementation of MIMO 8×8 plus the Altai proprietary technologies for increase range, more uniform coverage, and increased capacity –technologies that enable the A8n base stations incomparable performance. 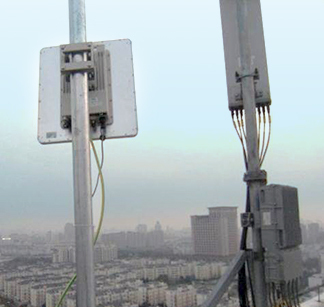 The mynetworks macro coverage solutions by Altai Technologies, provide a fewer number of base stations necessary for providing high performance coverage and capacity for a square kilometer rang, reducing the number of sites, the CAPEX and OPEX of the WiFi solution as a whole. Lower OPEX costs – especially due to the fewer number of sites/locations for renting, maintaining, and connecting per square kilometer. A family of WiFi Altai A2 access points is designed for WiFi micro coverage at an affordable and profitable cost – complementing the Altai A8n Super WiFi systems for increasing the capacity of the solution, extending the coverage and filling the outlying areas supplied with low or not signal due to large physical obstructions. Since the Altai A3 access point family incorporates the latest 802.11ac MIMO 3×3 technologies enabling a performance up to 1300Mbps. 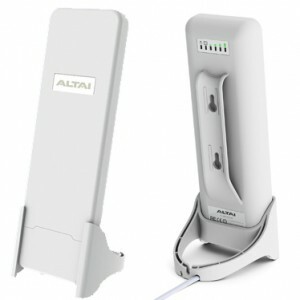 The Altai A2 and A3 access point can operate in various modes, actuating as a strong high capacity backhaul solution for Altai A8n Super WiFi base stations or as a repeater for achieving better coverage in weak signal areas, such as scenarios of outdoor-to-indoor coverage and long range CPE. There are versatile options of integrated and external antennas, for 2.4Ghz as well as for 5Ghz. Provide a dependable WiFi and high capacity connection for final users many times requires a sufficiently powerful CPE or a local repeater or pico coverage (in-house). The CPE mynetworks solutions by Altai Technologies are specifically designed for taking advantage of the proprietary technologies provided by the Altai A8n Super WiFi base stations (Altai Smart Antenna and Altai AirFi). They are designed focused on service suppliers/operators, the CPEs Altai include a powerful mechanism for controlling band width, enabling operators to create different plans for multiple users using only one CPE. Multiple user connections can be enabled though a single CPE. The mynetworks by Altai Technologies offers a complete solution for wireless backhaul, ranging from C1n/C1an models providing an excellent cost/benefit relationship to the A2/A2and/A3 models for long range. All the equipment can be managed remotely and centralized, which provides high level visibility, control, and solution optimization. The implementation of a WiFi network for covering large areas (a city, for example) requires a management system and advanced monitoring, in order to maintain a consistent service, including quality, and high performance. 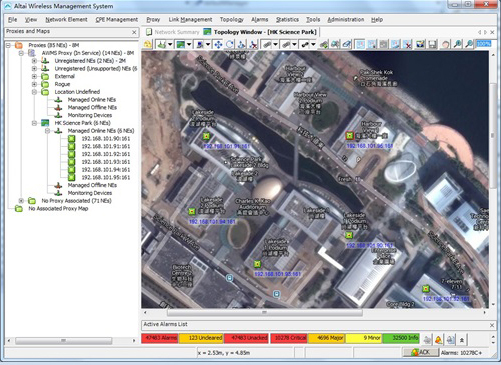 The management system for Altai AWMS networks offers a powerful tool for managing large wireless network infrastructures, enabling the batch updating of equipment configurations, as well as, collecting status parameters from the network – including errors, alarms, and information on the performance of each component of the solution, providing an overall graphic map. Remote provisioning, management, and diagnostics of the CPE elements of the network.